Junifer Systems is a relatively new utility billing and customer care software provider, which addresses mainly the UK market. As well as its core utility CIS solution, Junifer offers a customer care and billing system for wholesale and interconnect telco operators. The Junifer Utilities CIS is a modern customer care and billing solution, which is designed for utilities who are rolling out smart metering. The system can also handle billing for conventional postpaid and prepaid meters, so that suppliers who are transitioning from a legacy environment to smart metering can serve all their customers from the same system. ‘utility packs’ to manage country-specific rules and processes. The Customer Care Module gives CSRs access to all customer-related data, including customer details, usage, bills and payments history. The product management functions allow bundles to be configured comprising one or more chargeable items (e.g. standing charges, consumption charges, feed-in tariffs, applicable taxes). At the heart of the Billing Module is a powerful real-time rating engine, which can rate consumption records as they are presented to the system and is highly scalable for handling the large data volumes generated by smart metering deployments. It can manage multiple utility services (e.g. electricity, gas, district heating, water), as well as generate convergent bills for multiple services if required. MDM – normalises, validates and where necessary estimates meter readings prior to downstream processing such as billing, management reporting and use by customer service agents. Accounts Receivables – tracks payments and account balances to support credit control and customer service processes. Web Portal – provides customer self-service functionality. Electronic Data Interchange (EDI) – supports information exchange between energy industry participants. Ticketing – prioritises and assigns work to a team or user based on service level agreements and other data. Sales – manages the pricing-and-offer process for C&I customers. Junifer’s Utility Packs streamline and automate the complex rules and processes that are specific to the UK energy market (e.g. change of supplier, change of tenancy). There are separate packs for electricity, gas, water and district heating suppliers. Any bespoke needs (e.g. tailored invoices) are addressed through Custom Components – client-specific code that is developed within the Junifer framework and integrated with the application. Utilities can buy an on-premises licence but many choose to take the solution as a hosted managed service to keep costs to a minimum. They can upgrade to the full enterprise Junifer CIS product at a later stage if desired. In late 2015, Junifer partnered with CGI and Utiligroup to launch ER360, an end-to-end solution for UK suppliers that integrates customer care and billing with energy forecasting, smart meter interaction and trading/risk management. ER360 integrates the Junifer Utilities CIS with Utiligroup’s Automated Flow Management System for market interaction, as well as with the centralised smart metering data communications service (the DCC). The solution can be deployed on premise or delivered as a hosted service on CGI’s secure cloud platform. 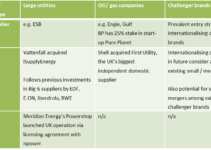 Junifer targets primarily the UK market, where it serves a growing number of new entrant energy suppliers, including Bristol Energy, Bulb, Green Star Energy, Octopus, Places for People, Robin Hood Energy, So and Yu. 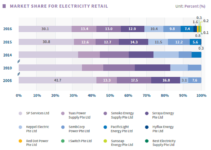 Other UK utility customers include Engie Cofely District Heating, E.ON Sustainable Energy (for decentralised energy systems), and Hudson Energy (for C&I electricity supply). Elsewhere, Junifer has clients in Estonia (wholesale telco services) and New Zealand (Grid Exit Point / Installation Control Point billing for distribution operator Powerco). In less than a decade, the Junifer Utilities CIS has become one of the most popular choices among new entrant energy retailers in the UK market, making the company an attractive acquisition for Gentrack. One of Junifer’s key capabilities is its support for UK-specific energy business processes and market messaging. The various utility packs available within the CIS help streamline and automate key processes such as change of tenancy and change of supplier to lower the cost to serve, and are regularly updated to keep suppliers compliant with any new requirements. Junifer is also proactive in evolving its product to support new regulation. For example, the vendor recently opened its APIs to partnering price comparison websites to help speed up customer switching, in anticipation of the future requirement for 24-hour switching. People who change supplier from these websites will be registered almost instantly in Junifer’s software and receive welcome packs within seconds. The vendor has a good implementation track record, which reflects its strong focus on delivery as well as a rigorous recruitment process that sees it take on only the most capable staff. Find out more about the utility billing / CIS vendor landscape in our report New Directions in Energy Retail: Billing & CIS for Competitive Edge.